The Flood Preparation Scholarship | TSC Restoration, Inc.
With disastrous flooding in Texas and Oklahoma, a strong possibility that an El Niño event could hit California this winter, and predictions that say national flood risk could increase 45% by 2100, now is the time to make sure you’re prepared for a flood. 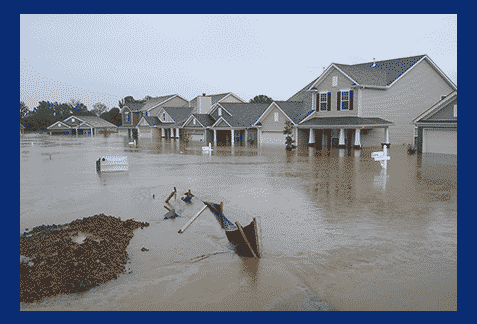 To help educate businesses, homeowners, and people throughout the country prepare for a flood, TSC Restoration is proud to offer the Flood Preparation Scholarship. To enter, just submit an original 1-5 minute YouTube video where you show one, or several ways, to prepare for a flood. Make sure you link to or mention TSC Restoration in the description to prove that the video was created for our scholarship contest. The winning entry will receive $500 towards their education, while doing a small part to help keep people safe from flood damage. Applicant must be a U.S. citizen or permanent legal resident of the US. He or she cannot be an employee of, or a relative of an employee of, TSC Restoration, Inc. Applicant must be a current student and have a cumulative high school GPA of at least 2.5. Applicant must also enroll at an accredited 2 or 4-year college or university during the semester following the end of the contest. The recipient will receive a one-time scholarship of $500 to be applied to qualified expenses, including graduate and undergraduate tuition, fees, books, and room and board for the spring 2017 semester. Funds are provided by TSC Restoration and made payable to the student’s approved college or university no later than January 1st. The institution must be accredited and listed on the official website of the U.S. Department of Education. Applicants attending military academies are eligible for this scholarship. All school transfers are subject to accreditation approval. If the applicant or the applicant’s parent/legal guardian or immediate relative is employed by TSC Restoration at the time of award, the student is no longer eligible and will forfeit the scholarship. The three finalists will be selected after a team of judges reviews all entries. All entries must be received by November 1st, 2016. The winner will be announced on December 1st. Applicants will be judged on the creativity, writing skill, and content of their submission. The recipient must be actively enrolled for the spring 2017 semester without interruption, barring illness, emergency or military service. It is the recipient’s responsibility to verify receipt of funds with their institution and notify TSC Restoration if the check is not awarded by the institution within 30 days of the issue date. TSC Restoration reserves the right to alter or discontinue this program at any time without notice. All entries become the property of TSC Restoration and may be reposted or reused, in whole or in part, in any medium. TSC Restoration is a full service mold, fire, and water damage restoration company in San Diego, servicing greater Southern California. We operate with the help of one of the largest damage repair & recovery teams in Southern California and specialize in large scale commercial water damage restoration projects, such as the main line flood at the San Diego Marriott Marquis hotel.